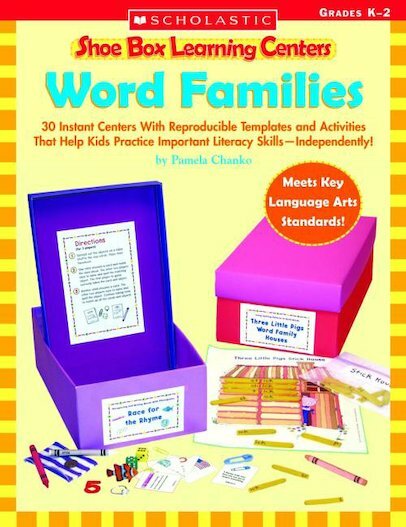 30 instant centers with reproducible templates and activities that help kids practice important literacy skills – independently! These 30 skill-building games and activities help kids practice working with the key word families that will help them become successful readers. Each box can be assembled with readily available materials and includes reproducible labels, easy-to-read student directions, and reproducible game boards and worksheets. Connects to district, state, and national language arts standards.